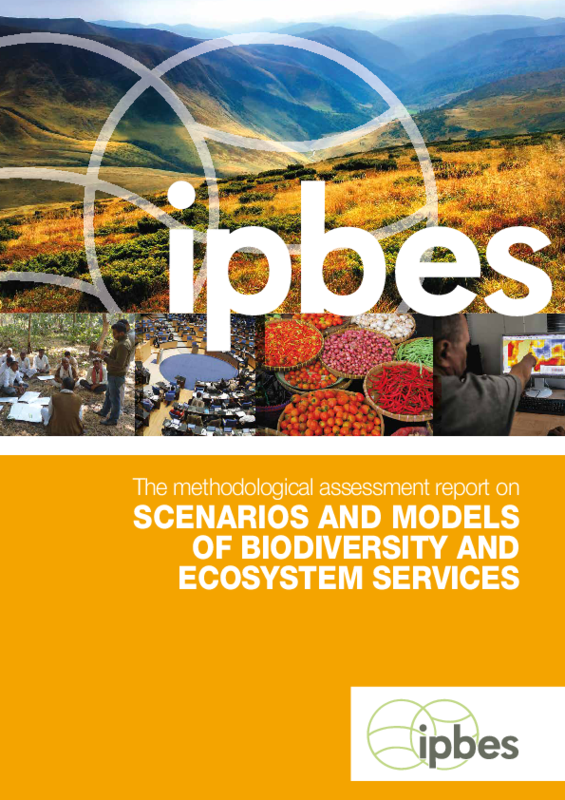 This IPBES methodological assessment of scenarios and models of biodiversity and ecosystem services has been carried out by experts from all regions of the world, who have performed an in-depth analysis of a large body of knowledge, including about 1500 scientific publications. It has been extensively peer reviewed. Its chapters and their executive summaries were accepted, and its summary for policymakers approved, by the fourth session of the Plenary of IPBES (22-28 February 2016, Kuala Lumpur). Decision makers in Governments, private sector and civil society want more robust information regarding plausible futures of biodiversity and ecosystem services. They want to understand how the drivers impacting biodiversity and ecosystem services might evolve in the future, and what the consequences might be for biodiversity, ecosystem services and nature’s benefits to people. They also want to understand the implications of different policy choices on biodiversity and ecosystem services, and how to achieve policy targets, e.g., the Aichi targets. To address the concerns of decision makers the IPBES scenarios and modelling assessment considered the roles of scenarios and models within the IPBES conceptual framework, and assessed the roles of three types of scenarios within the policy cycle, i.e., (i) “exploratory scenarios”, which represent different plausible futures, often based on storylines; (ii) “target-seeking scenarios”, also known as “normative scenarios”, which represent an agreed-upon future target and scenarios that provide alternative pathways for reaching this target; and (iii) “policyscreening scenarios”, also known as “ex-ante scenarios”, which represent various policy options under consideration. The biodiversity community needs to make a step change in its capacity to foresee plausible future changes as a result of various socioeconomic drivers. This methodological assessment will make a critical step in this direction. By providing expert advice on the models and scenarios that are currently available, and by explaining how to use them and in what context, it will make it possible for IPBES assessments to address these questions. By highlighting gaps in data, knowledge, methods and tools relating to scenarios and models, it is hoped that it will bring more attention to this crucial field of biodiversity science. This assessment was performed early in the implementation of the first work programme of IPBES, in order to be used by the thematic, regional and global assessments of IPBES. It is expected that this report will also represent a useful resource to academia and other stakeholders and decision makers. IPBES is pleased that the Subsidiary Body on Scientific, Technical and Technological Advice (SBSTTA) of the Convention on Biological Diversity has recognized the importance of this assessment and encouraged countries, organizations, indigenous peoples and local communities and the scientific community to further develop and use scenarios and models to support decision-making and evaluate policies. IPBES looks forward to the consideration of SBSTTA’s recommendation on this matter by the Conference of the Parties at its thirteenth meeting later this year, and to the contribution of IPBES’ work on scenarios and models to the fifth edition of the Global Biodiversity Outlook.